E3’s Forest Blend is designed to promote feeling calm, centered and grounded, similar to what you would experience with a walk through a natural forest. 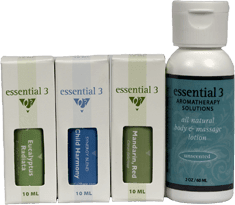 The following list of Forest essential oils (in alphabetical order), includes the therapeutic uses that are listed for each essential oil which are relevant to the purpose of this particular blend. After Shower: After showering, while your skin is still wet, put 1-3 drops of essential oil in the palm of one of your hands and rub your hands together. Quickly and evenly spread the essential oil over your legs, arms, and torso. Avoid sensitive-skin areas. For maximum skin hydration and to seal in moisture, apply cream, lotion or body oil directly to damp skin. Bath, Foot: Mix 1-3 drops of essential oil in 1/2 teaspoon of carrier oil, such as fractionated coconut oil. Set aside. Fill a tub (deep enough to cover your feet and ankles) with warm water. Add the essential oil mixture, stir well, and immerse your feet for 10-15 minutes. Breathe in the aroma and massage your feet. Chest Rub: Mix 5-15 drops of essential oil in 1 tablespoon of carrier oil or fragrance-free, natural lotion, apply to upper chest and upper back. Diffusion: Follow diffuser manufacturer’s instructions to fill the air with therapeutic aroma. Place 2-4 drops of essential oil on several cotton balls or tissues; place nearby or tuck into the grate of fan or air vent in your home or car. Inhalation: Put 1-3 drops of essential oil on a tissue and inhale the aroma through your nose. Pause and inhale again. Massage: Mix 6-30 drops of essential oil in 1 ounce of carrier oil or fragrance-free, natural lotion. Room Mist: Mix 30-60 drops of essential oil in 4 ounces of water in a mister bottle. Shake well before each use and avoid getting the mist into the eyes. The Methods of Use are general guidelines. Individual sensitivities, desired results, and the characteristics of the essential oil(s) used must all be considered. Adjust methods and proportions accordingly. For external use only. Always dilute before use. Keep out of reach of children. Avoid eyes and other sensitive areas. 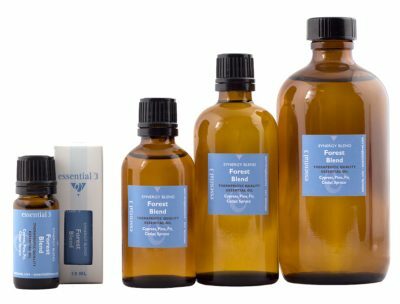 Keep away from direct flame – essential oils are flammable. If pregnant or nursing, consult a physician before using essential oils. Store at room temperature and avoid direct sunlight.